New Jersey is a state full of wonders to surprise curious travelers and residents alike. 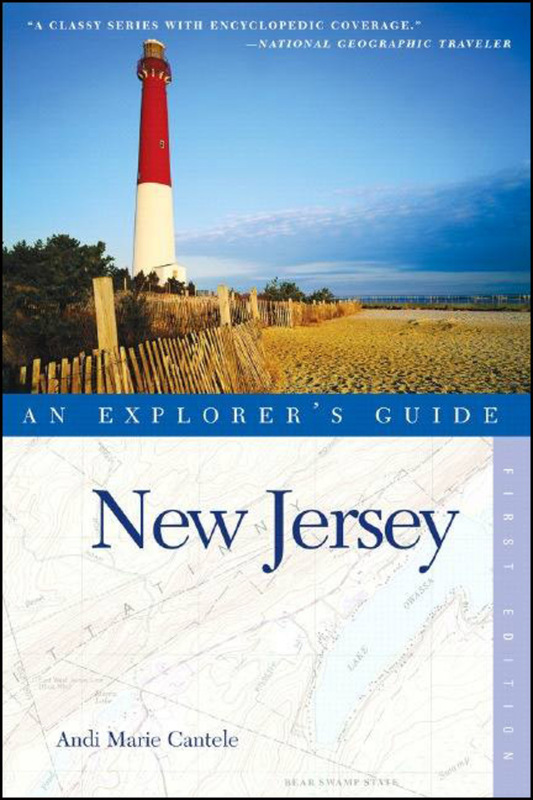 This guide leads you away from the busy interstate highways to reveal the cultural, historic, and geographical diversity that lies beyond the New Jersey Turnpike. For wine connoisseurs, there are more than 25 wineries that offer tours, tastings, and festivals; for history buffs, New Jersey, known as the "Cockpit of the Revolution," offers battlefield state parks, monuments, and reenactments. And that's not all: New Jersey's 127-mile shoreline has many diverse communities, including the historic Victorian seaside resort of Cape May, itself a national historic landmark; the casinos of Atlantic City; the natural beauty of Island Beach State Park, with sand dune-scattered, long, white beaches, nature trails, birding, surfing, and guided kayak tours; and the hip shore town of Red Bank, with art galleries, boutiques, bistros, and jazz clubs. In addition, this comprehensive guide to the state includes opinionated listings of inns, B&Bs, hotels, and vacation cabins; hundreds of dining reviews, from diners to four-star restaurants; up-to-date maps; an alphabetical "What's Where" subject guide to aid in trip planning; and handy icons that point out family-friendly establishments, wheelchair access, places of special value, and lodgings that accept pets.